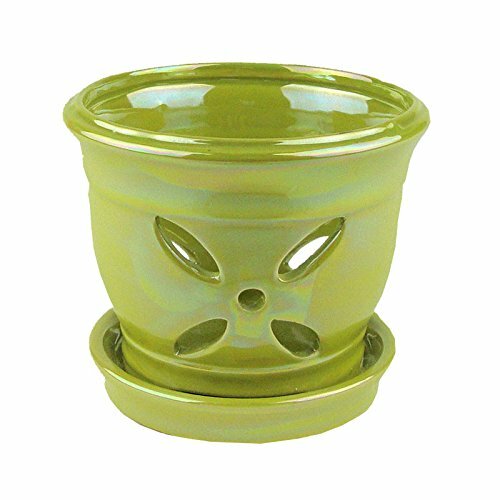 This 5″ Chartreuse Pearl Round Ceramic Orchid Pot has a beautiful pearlescent glaze with an iridescent luster that resembles that of a pearl. 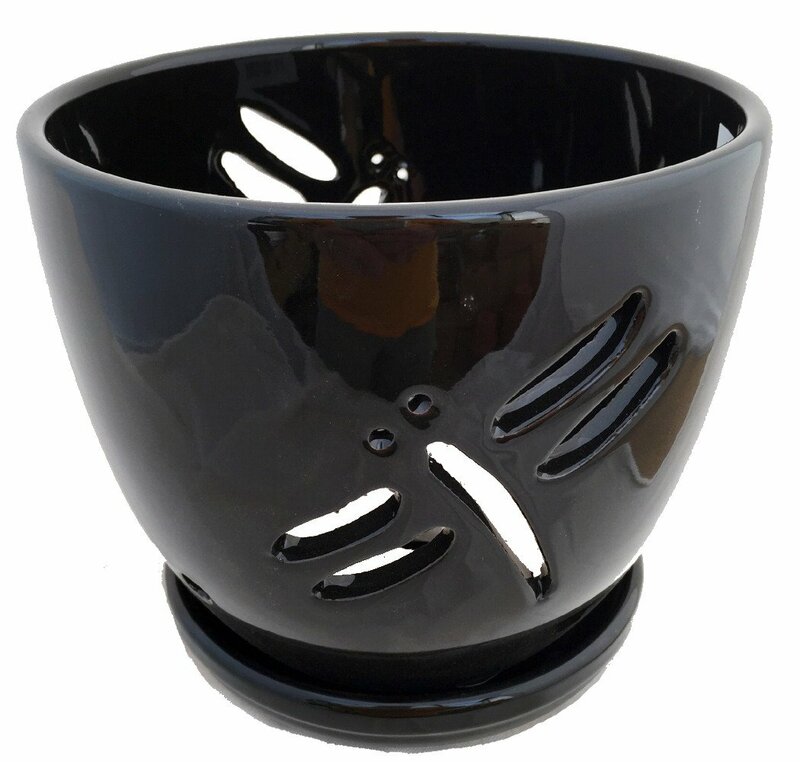 Excellent drainage is built in with a center hole that is elevated above the drip tray so water is carried out and away from the root system. 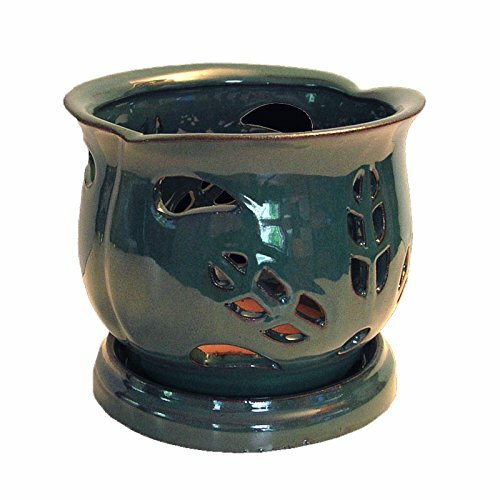 The design provides for maximum aeration and light and includes feet that suspend the pot above the matching attached drip tray. 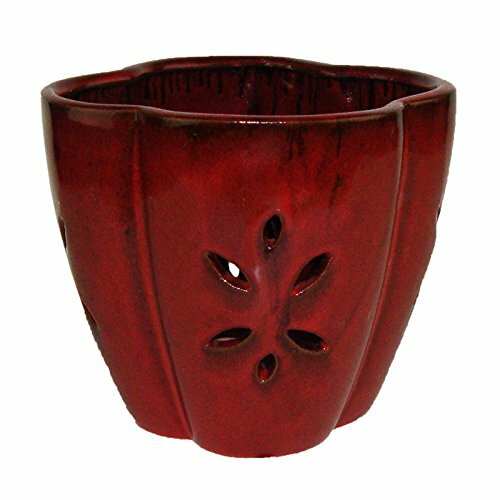 Each ceramic orchid pot is unique and color varies from piece to piece, and will be a wonderful addition to your display. 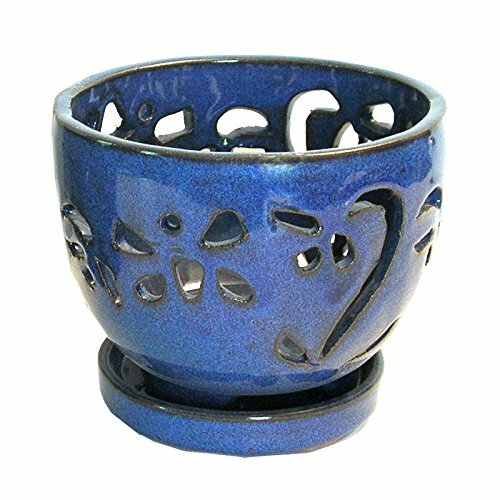 Approximately 5 inches wide and just under 5 inches tall, these are truly works of art of art and are mostly glazed inside as well. 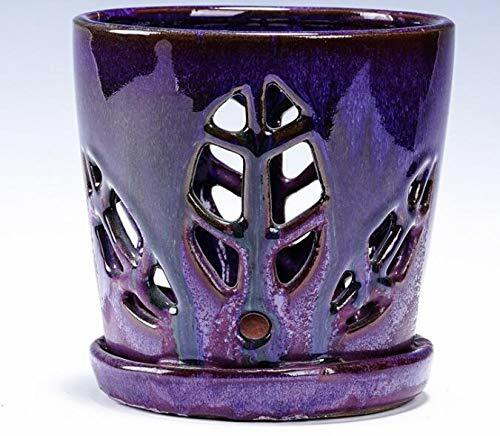 These orchid pots are a beautiful choice for African violets too. Multiple pads on the base protect surfaces. 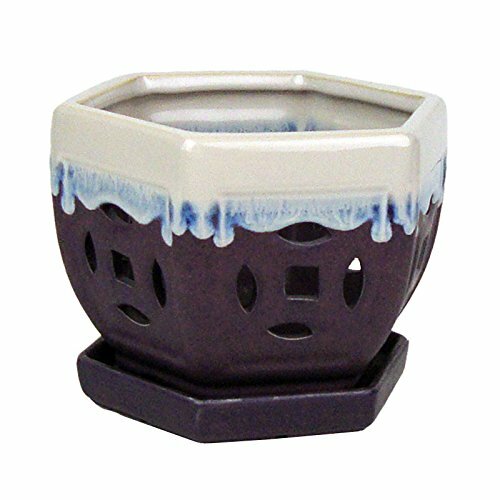 Our double drainage Crystal Clear™ Orchid Pots fits nicely inside this ceramic orchid pot and one clear pot is included with each 5″ orchid pot ordered.